We were sitting in our sunny garden a few days ago, and saw a glistening rain falling from the birch trees, which were just leafing out. But it wasn’t liquid drops... it was a shower of insects. We then noticed the many tiny, green aphids that were crawling all over us. A plague of aphids? Yet more climate-related trouble for 2016? 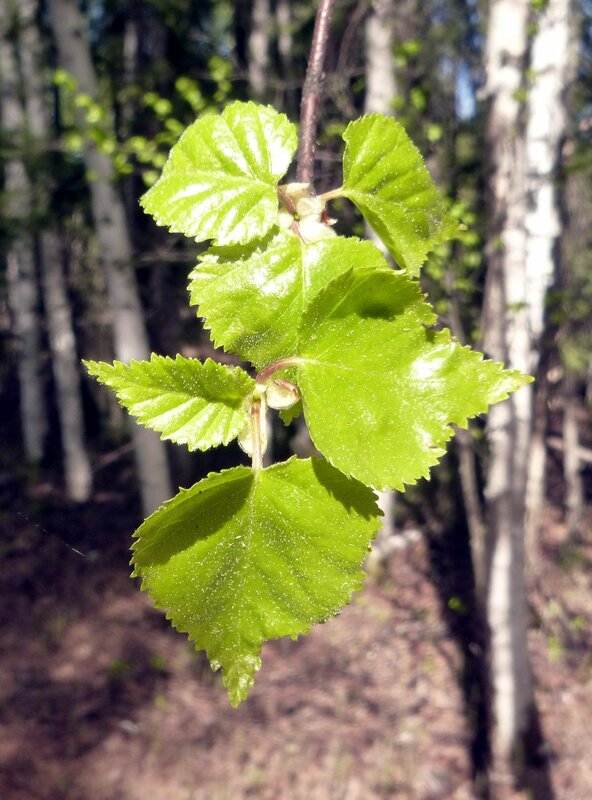 Now, the advantage of being interested in natural history in the US, as opposed to Indonesia, is the great amount of information available, and googling ‘aphid birch alaska’ I found numerous references to the Alaskan ‘birch aphid,’ generally named as Euceraphis betulae (Koch.) (e.g., this USDA report). These insects overwinter as eggs, hatch in the spring, and immediately reproduce parthenogenetically (without mating), thus increasing their population very rapidly. Usually they cause little damage to their hosts, due to their many predators (the ladybird bugs are out too!). But I was puzzled by their taxonomy. Most of the literature on Euceraphis betulae relates to its occurrence in the U.K., where it feeds on silver birch (Betula pendula). 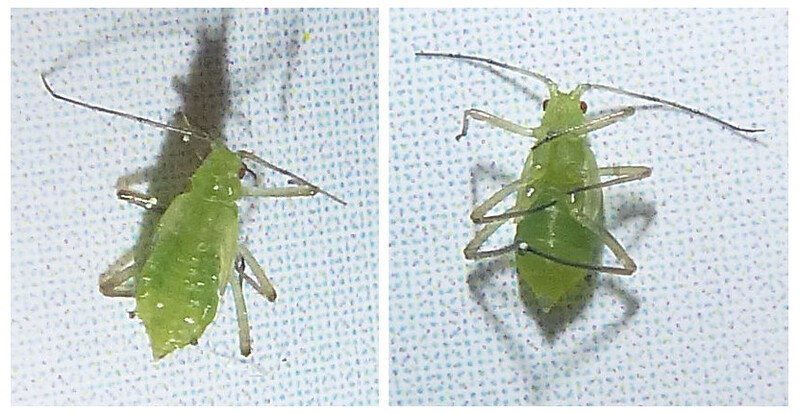 I checked further, but it does appear that Euceraphis betulae is the name generally (historically) used in Alaska (e.g., the Checklist of the Hemiptera of Canada and Alaska, GBIF, SpeciesFile, ARCTOS, etc). Was this species introduced from Europe? Is it naturally circumboreal? Several references pointed out the high host specificity of Euceraphis species: in the the UK, Euceraphis betulae feeds on Betula pendula, and Euceraphis punctipennis on Betula pubescens (see this great site). This European specificity makes it less likely that Euceraphis betulae is here in Alaska. I then saw Euceraphis betulae described as covering a “complex of non-European species,” and also found reference to Euceraphis borealis in Alaska (hmm... that sounds better!). So I looked into the taxonomy of Euceraphis more carefully. Figure 1. Variation in orthogonal morphometric space of individuals assigned to different species of Euceraphis. 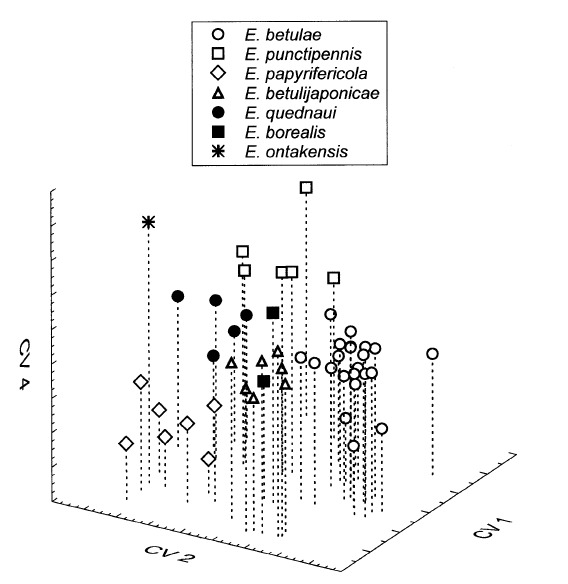 But what this underlies for me, and why it is so exciting, is that it is yet another case of the taxonomy of organisms in Alaska being not as cut and dried as I had expected: here is an economically important, very common species being only just named in 2002. Both other cases I’ve looked into so far (willows, and Cornus canadensis) are also messy and interesting. All this is not so very different from the challenging situation we have in Southeast Asian plants. Bottom line: there is so much more to discover, even where we think it’s all well known!